If you are just joining me, this is the 5th of 10 answers I will be sharing in response to the above question. Today, Tim of Guitars and Theology will be answering the question. To say that the senior pastor among us struggled to answer the question is an understatement. However, like many with a deep theological mind his struggle is validated. Tim broke the parameters, but I let it slide (after some prodding from my husband). Here are Tim's 350 words, but scroll down for his video response. Jesus’ teachings and parables are pulled out of shape. Jesus as messiah changes meaning dramatically. The kingdom of God means something very different. The narrative sweep of the Bible is entirely different. God’s Good Creation groans in vain. Sanctification will not be completed. No beatific vision. We won’t be like Him because we won’t see Him as He is. The dead in Christ are lost. Suffering for righteousness is inadvisable. God’s dream of a people with whom He can abide won’t materialize. The curse is never lifted. No Justice for victims of grievous wrong. Martyrs blood cries and is never answered. No Just Judge. How just is God? Those who die young are just unfortunate, I guess. Sin will never be eradicated. A glass darkly…and that’s all. Faith will never be sight. The Hope of the glory of God is taken away. Perseverance based on said hope is also gone. De-motivating big time. God will not wipe away every tear. You lose that comfort. Baby Olive (my neice) and Annie Brown (brain tumor at age 5) are just dead and that’s the end of that for the bereaved orphaned families. Rewards for righteousness are limited to this life. Accountability for everybody is pretty much gone. The truth of hearts and motives and character never comes out. The image of God seems to mean something less dignified and important. The character of God would seem to change. Abraham responded in trust and obedience to the limited light God gave. David didn’t have much of a view of the afterlife but treasured God’s presence. Tim Miller: Sought spiritual connection and a meaningful surrendered life amid moral angst. Therefore, if there were no Heaven or Hell..........I don't know if I would be a Christian. 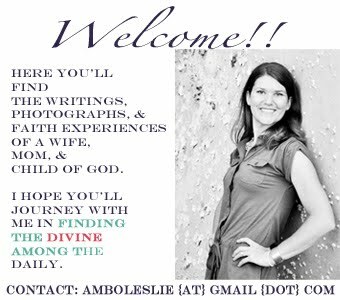 :) thank you so much, dear Amber, for taking the time to read my blog and comment in such a constructive way. I believe there isn't a right or a wrong kind of Faith, it's simply different. so, what I share is my beliefs. I respect yours and I'm not going to argue with you on any matter. I'll just share a zen story: one day a teacher gathered all her pupils and asked them to close their eyes. then she guided them to a certain place and asked them to open their eyes and tell each others what they were seeing. and they all started arguing because each one of them was seeing something different from what the others were saying. then the teacher told them to walk back a few steps and see again. so they did and they realized they were all telling the truth because they had been gathered around an elephant. since they had been too close to a little part they could only see a small detail of the whole animal and that was why their words didn't described to the others what they were seeing.